The Boston Marathon Training Guide is the ultimate resource for conquering the Boston Marathon course. If you're racing Boston with the goal of recording a PR or running your best time, knowing how to target your training specifically to the demands of the course is essential. You need to prepare your legs for the demanding hills, develop your patience for the early miles, and prepare for the quad-pounding downhill finish. This guide will ensure you have everything you need for a PR performance! Some runners manage to sail over the climbs and dips between Hopkinton and Copley Square with remarkable success, even on their first try. Those who do are the ones who come prepared. 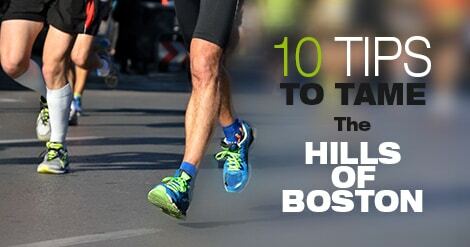 Here are my ten tips (learned the hard way) to prepare for taming the hills of Boston. The downhill sections of Boston can be just as dangerous as the uphills. Making sure your body is prepared for them can make a huge difference on race day. 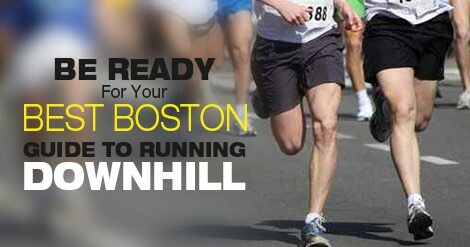 We show you how to be ready for the downhills of Boston, even if you do not live near hills! 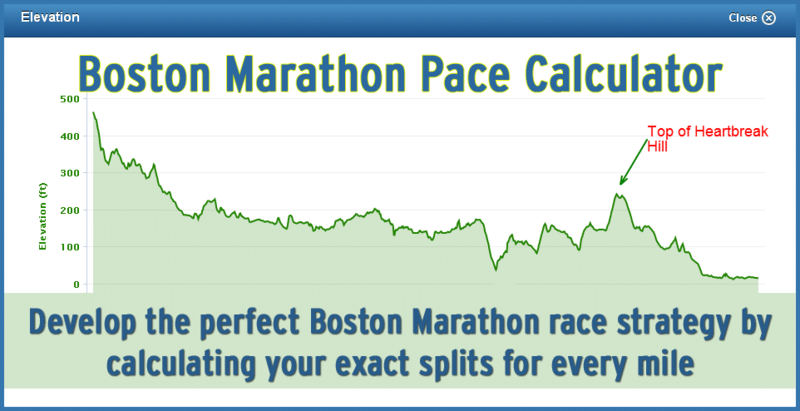 The Boston Marathon Pace Calculator will help you establish the perfect target race pace over the fabled Boston Marathon hills. The pace calculator will help ensure that all of your hard training for race day isn't wasted with a poor race strategy. 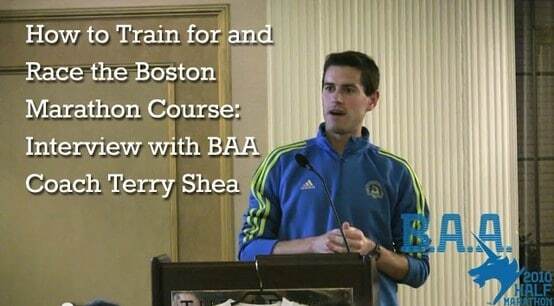 Former BAA coach Terry Shea shares with us the secrets of the Boston marathon course and how to tailor your training to prepare your body for race day. 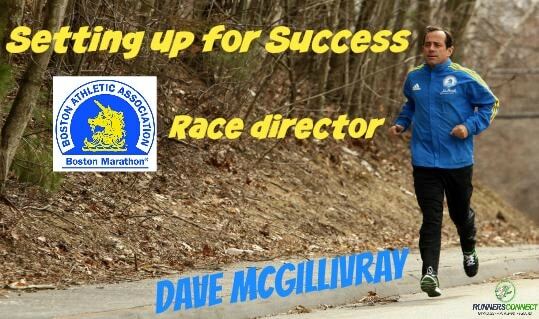 We interview Boston Marathon race director, Dave McGillivray to hear his inspiring story, and learn how the Boston Marathon became as big as it did. Ready For a Custom Marathon Training Plan to Achieve Your Goals? Get a training plan completely customized to your schedule, tailored to your strengths and weaknesses, and constantly updating based on your progress to ensure you avoid injuries, train at the right paces, and run faster at your next race - guaranteed! An in-depth lesson on the specific physiological demands of the marathon distance and how to target them in training for optimal results. Discussion on marathon long runs. Including how long they need to be, how to structure them, how to reduce injury and how to get the most bang for your miles. Learn the 4 critical workouts needed for an awesome marathon, why they work, and exactly how to perform. We'll delve deep into how each week is structured including when to schedule workouts and give you a glimpse at a real schedule. An in-depth look at how to execute in the final few weeks of training, what to watch our for, and how to be primed to run your best on race day. You'll get a mile-by-mile race plan with specific instructions and paces to ensure you make the most of your training on race day. See the plan in action. Case studies to give you concrete examples of how the training works and how to put it together. If this FREE guide doesn't help you design a schedule that fits your goals, experience level, or training requirements, check out our custom training plans. Not only do you get a marathon training schedule written just for you, but we provide the coaching and support you need! Get specific instructions for each workout, including why and how to execute. Plus, access to our expert team of coaches to get feedback, answer your questions, and help you adjust your schedule if needed. Ready to Train Smarter, Avoid Injuries, and Run Faster?